Published (February 22, 2016). First appeared in Voice of America. A Burundian soldier walks in front of residents during a demonstration against the Rwandan government in Burundi’s capital Bujumbura, Feb. 20, 2016. When U.N. Security Council envoys flew to Burundi in January to try to end months of violence, the central African country’s leader flatly rejected their offer of help and hundreds protested against what they saw as meddling. A month later, with fears of a new ethnic conflict growing a decade after a civil war ended, diplomats say Secretary-General Ban Ki-moon will step up peace efforts by visiting Burundi for talks on Tuesday with President Pierre Nkurunziza. The U.N. is under growing pressure to show it can halt the bloodshed in Burundi, two decades after the 1994 genocide of ethnic Tutsis and moderate Hutus by the Hutu majority in neighboring Rwanda, which has a similar ethnic make-up. Burundi’s President Pierre Nkurunziza, center, and U.S. ambassador to the U.N. Samantha Power, left, speak to the media in Gitega, Burundi, Jan. 22, 2016. But Samantha Power, the U.S. ambassador to the United Nations, has made clear the need for action is pressing in the landlocked country of 10 million. “What Burundi needs urgently is an inclusive broadened mediation, and an expanded international presence … we have a responsibility to try again and again to convince the president to stop rejecting offers of international support,” she said. The U.N. says at least 439 people have been killed in the violence, which began after Nkurunziza’s decision last April to seek a third term, and that the number could be “considerably higher.” About 240,000 have fled the country. 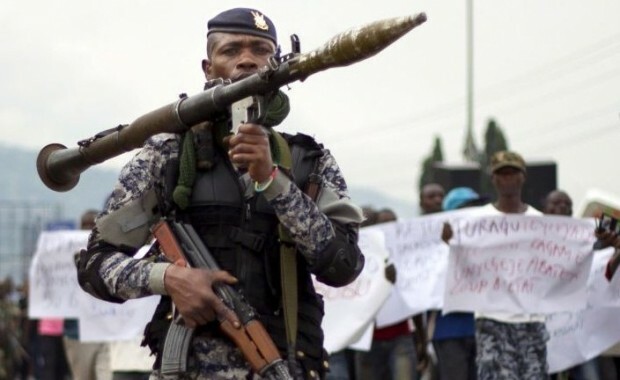 Since a failed coup last May, Bujumbura has been hit by frequent shootings and grenade attacks aimed at civilians and police, who have frequently mounted raids at night on districts in the capital which the government says are hotbeds of anti-Nkurunziza sentiment. The United Nations is investigating reports of mass graves, the crisis has triggered foreign aid cuts and Burundi, one of the world’s poorest countries, is facing an economic disaster. This has prompted calls from human rights groups for the U.N. to be more assertive in Burundi, where 300,000 people were killed in the 1993-2005 civil war. 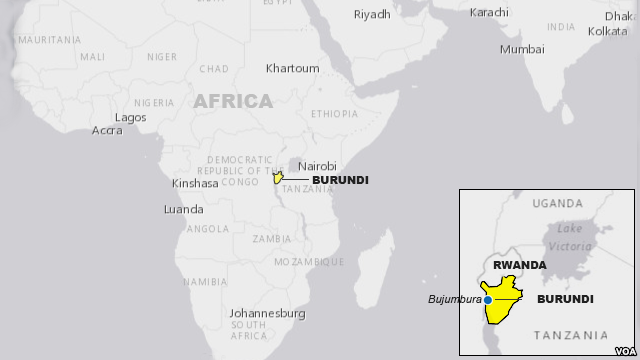 Like Rwanda, Burundi’s population is about 85 percent Hutu and about 15 percent Tutsi. “The Security Council needs to quickly shift from early warning to preventive action. It should convince the Burundian government to accept a strong U.N. political mission with an international police component,” said Philippe Bolopion, Deputy Director for Global Advocacy at New-York-based Human Rights Watch. Diplomats say Ban will push Nkurunziza for political talks and a greater international presence, but it is not clear what the United Nations can do if the president continues to refuse outside help. Burundi opposition members sit during peace talks at Entebbe State House, east of Uganda’s capital Kampala, Dec. 28, 2015. A U.N. political mission in Burundi stopped operating in 2014 at the government’s request and Ban’s lead official on Burundi, Jamal Benomar, has only a small team on the ground. Nkurunziza has also rejected the African Union’s proposal to send in 5,000 peacekeepers because he says it would amount to an invasion. “At some point the world has to wonder what you’re hiding if you’re adamant about preventing any independent eyes and ears on the ground,” Tom Perriello, U.S. Special Envoy to Africa’s Great Lakes Region, told Reuters. After asking the U.N. peacekeeping department to prepare contingency plans in case Burundi spirals out of control, the Security Council is now likely to request options for sending U.N. police, seizing on a proposal by Russia, diplomats say. “The idea of U.N. police — and the format, the conditions, the modalities of course must be discussed — is potentially a productive idea. That is one of the ideas we must work on,” French U.N. Ambassador Francois Delattre told reporters. Russia initially opposed action over Nkurunziza’s decision to run for a third term because it saw it as a constitutional matter of a sovereign state. 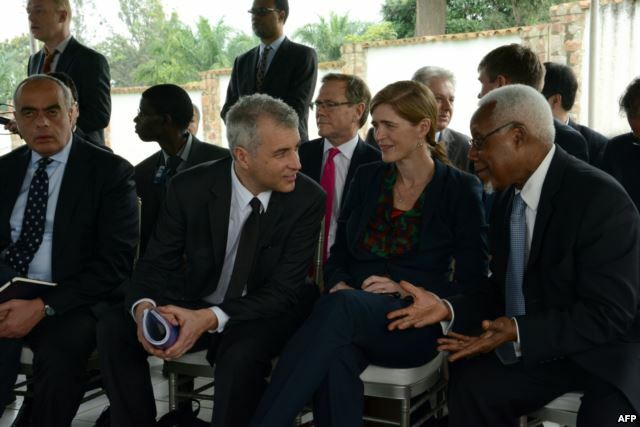 U.S. ambassador to the United Nations Samantha Power, second right, speaks with other U.N. Security Council ambassadors during a meeting with the Burundian president at his residence outside Bujumbura, Jan. 22, 2016. But after violence worsened following his victory in a disputed election last July, Russia and China – both veto-holding permanent members of the Security Council – backed a resolution in November aimed at boosting a U.N. presence and threatening “additional measures” against those fueling the crisis. 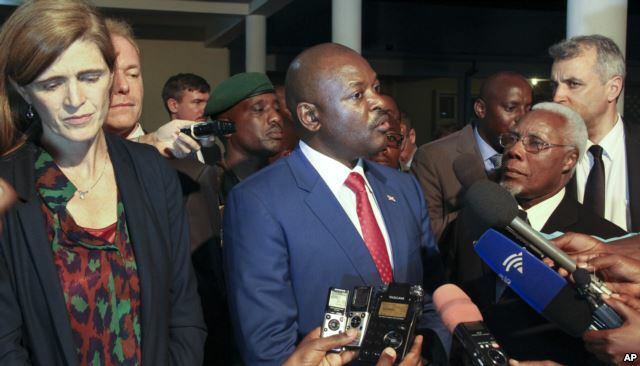 Russia’s deputy U.N. ambassador, Petr Iliichev, said his understanding was that Nkurunziza had expressed interest in the possibility of international assistance for Burundi’s police. But Burundi’s U.N. ambassador, Albert Shingiro, made clear any potential U.N. help would be limited to assisting in the development, or “capacity-building”, of the police and monitoring the border with Rwanda. “We don’t need an armed mission, it would be a civilian mission for capacity-building … it would be a small, limited number,” he told Reuters. The United States and the European Union have imposed targeted sanctions on several Burundians over the crisis, but the African Union and the Security Council have not followed suit. Iliichev said there was no need for U.N. sanctions. The crisis in Burundi has raised fears of violence spreading beyond its borders, heightening tension with Rwanda over accusations that it is meddling. Kigali has denied reports of Burundian refugees being recruited and trained in Rwanda, with the aim of ousting Nkurunziza, though the United States says the reports are credible. 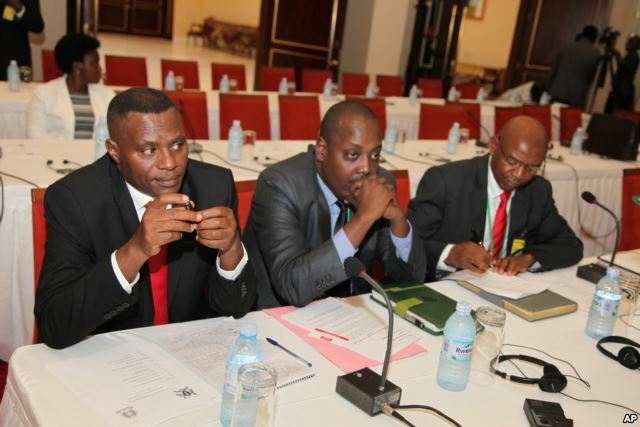 Some diplomats say the reports could be a way to convince Nkurunziza to accept a greater international presence by suggesting it could help monitor the border with Rwanda.